What makes Stackable Premium special? Stackable Premium extends the capabilities of Stackable and the new WordPress editor to give you the smoothest page building experience. 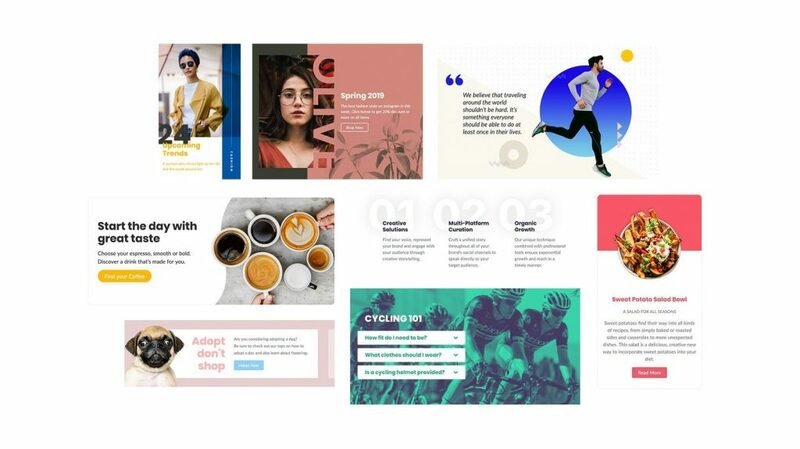 Using the core Stackable Philosophy of balancing utility and great design, Stackable Premium offers premium design layouts and effects, premium functionality and focused one-on-one customer care. While you can create great pages with Stackable, Stackable Premium lets you do so much more. Take your blocks to the next level with Stackable premium layouts and effects. Choose the best layout that fits your needs from our curated design layout collection. Easily apply block effects like tilting images, grayscale or colored images on hover, animation on hover and more. Unlock additional stunning layouts for majority of the Stackable blocks. Switch between any Stackable Premium layouts without designing from scratch. All our layouts have a professional finish and can be mixed and matched together to make your perfect site. Give your pages a little something extra to make them even more impressive. Tweak default block styles for a pixel-perfect fit using Stackable’s CSS customizer. Get access to our focused customer care through one-on-one email support. Keep your plug-in in top notch condition with year-long updates. Enjoy lifetime use of Stackable Premium features once you purchase a premium license. This means you can enjoy Premium features on your site even after the expiration of your license but you will no longer have access to plug-in updates and support. Avail of the annual renewal to continue having the full Premium experience and continue receiving Premium updates and one-on-one customer support. Are Stackable blocks compatible with any themes and plugins? Yes, Stackable’s blocks are compatible with any theme or plugin. Our blocks blend with the theme you’re using. Also, you can use Stackable blocks alongside other block libraries. If you find any plugin conflicts, do not hesitate to contact us. No, Stackable Premium is not a subscription service. You can enjoy lifetime use of the Premium features (even after your license expires), but access to Premium updates and one-on-one support will only be available if you have an active license. You will need to renew your license to continue getting updates and support after your annual license expires. What does “Lifetime Use” mean? Lifetime use means that you can use our premium features even if your license key has already expired. Everything would still work as usual, you will still be able to use all our premium features. You will just not get new premium updates and support. What does the annual renewal cover? The annual renewal just covers further premium updates and email support. We accept all major credit cards including Visa, Mastercard, American Express, as well as PayPal payments. Can I upgrade my Premium plan? Yes, you may switch plans any time with a prorated price. All our support is done via one-on-one emails. We will gladly help you with troubleshooting plugin bugs, conflicts and help you out in using Stackable. We do not however, offer design or customization requests. Can I transfer my license from one site to another? Sure. You can transfer your license key by first deactivating it from your site, then installing the premium version and activating your license key in your other site. Does my development environment count as a license activation? Yes, we have a 7-day satisfaction guarantee. If within 7 days of purchase, you are unhappy with Stackable Premium or have an issue that we are unable to resolve, we’ll happily consider offering a 100% refund of your money. Ready to get started and do more? Upgrade now to enjoy Stackable’s complete collection of layouts, effects, and features.